The Kilimanjaro sign is featured in my book Kilimanjaro: One Man’s Quest to Go Over the Hill, which chronicles my attempt to summit Mount Kilimanjaro, the highest mountain in Africa. The book is on sale now as an e-book for $3.99 and in paperback for $9.99 from Amazon and other booksellers. The Kilimanjaro Sign. It’s what every climber tries to reach when they attempt to summit Mount Kilimanjaro in Tanzania. Not only does it make a great photo op, it symbolizes achievement. They did it. 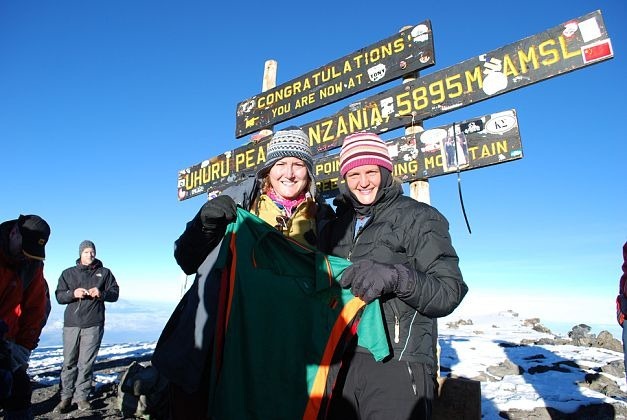 They made it to the top of Kilimanjaro! Until recently, the summit was marked by an iconic wooden sign with yellow lettering, covered with stickers left behind by climbers who wanted to leave their mark. 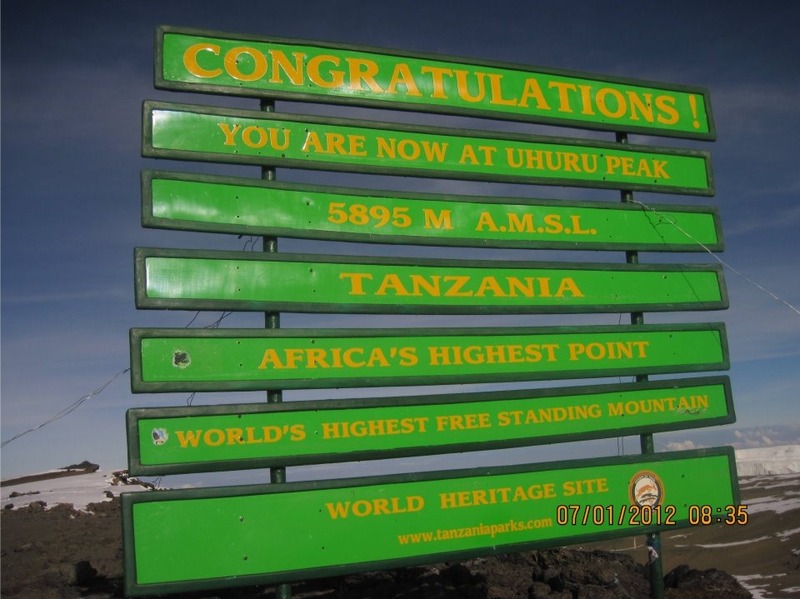 The old Kilimanjaro Sign was more than a marker erected by the Tanzanian government on the top of Uhuru Peak, the highest point on Kilimanjaro. To many, it symbolized that they had beaten the odds and achieved something remarkable – standing on the rooftop of Africa. Thousands of photos of climbers next to the sign adorn desks or hang on walls around the world. Thousands more dream of taking their own photo with it. UHURU PEAK TANZANIA 5895 M A.M.S.L. A fourth plank on the sign that read “One of World’s Largest Volcanoes. Welcome” disappeared by 2010. A box containing a logbook next to the sign vanished by 2007. It is the highest mountain on the continent of Africa and in the country of Tanzania. It is fourth highest of the Seven Summits, the highest mountain on each of the world’s seven continents. It is one of the world’s largest volcanoes, active or extinct. It is arguably the highest mountain you can climb without technical gear. It is arguably the highest free-standing mountain on Earth. Some say that Mauna Loa in Hawai’i is the highest based on its height from the ocean floor, although that is subject to debate. Of course, none compare to the volcano Olympus Mons on Mars, which, at more than 22,000 meters (72,000 feet), is three times higher than Mount Everest. The old Kilimanjaro Sign listed all of these records. But now the iconic wooden sign is gone! What do you think of the New Kilimanjaro Sign? Will it replace the old one as an enduring symbol of Kilimanjaro in the hearts and minds of those who have reached the summit or long to climb it? Only time will tell. And it already has stickers on it! Well, how do YOU feel about the sign being replaced? I’ll probably never get to see the [new] sign in person, so I really can’t say how I feel. I am going to print this and mail it to our sponsored boy in Tanzania. i find it a bit heartbreaking, actually. i am climbing Kili this summer and cringe a bit at the thought of that green monster standing behind me in my photos. oh well, i won’t cancel my trip, will just have to live with it. poor decision though, IMHO, on the part of the local authorities. Interesting post, Mike, and very informative. The old, weathered signs looked much more poetic and natural. This new collage is a bit too…. lime green and artificial, IMHO. Thanks for your comments! How do I feel? I like the old sign much better. It had character and was known around the world. The new one looks like a highway road sign, to be honest. Colin, I don’t think it should deter you from climbing Kilimanjaro. There are other great shots you can take without the Green Monster. All the best with your climb–I hope you reach the summit. Let me know how it goes! How heartbreaking to see that brash and vulgar metal sign on top of one of the most beautiful mountains in the world. The old wooden sign was an iconic symbol of Kili but over the years it has certainly deteriorated and it was not unexpected that it may need replacing but a more hideous replacement could not have been found. It is so disappointing for future climbers to reach their destination and be confronted with this metal monstrosity. Maybe a few of the trekking companies could pool their resources and approach the Tanzanian government with a more eco friendly alternative. its just AWFUL! But my vote is definitely, without a doubt, for the old sign! The new sign is awful…! Thanks, Cindy, for your comment. You may be right. Climbers were used to the wooden sign and found it symbolic in their quest to reach the summit, but the next generation will have a different icon to visualize. I imagine that in 50 years someone will be unhappy because they replaced the metal sign! I climbed Kili in Jan 2000 and although I agree the new sign doesnt have the same rustic character as the old sign I dont think it’s bad at all. Maybe it will just take some getting used I guess. 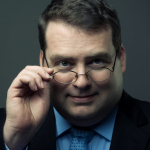 Hi, thanks for your comment and visiting my blog. I still have mixed feelings about the sign. I’m glad the old one was still there, but it was falling apart and needed to be replaced. Maybe the new one will grow on future climbers. All the best in the new year. I have literally just returned from summiting Kili earlier this week! The green sign may not have the charm that that the old wooden one did however one year later it is now covered in stickers and bits of bunting left by successful climbers and the green (in my opinion) isn’t quite as vivid and garish as it was when new! It certainly didn’t disappoint me when I reached the top and if anything at least it will withstand the vicious and fluctuating weather conditions up there. They replaced an iconic wooden sign that you knew by its appearance that someone had carried each piece up on his back with a road sign that could be on any highway on the planet. To make it worse the yellow on green is hard to read in many photos! I am so glad I reached the summit two months before this change!